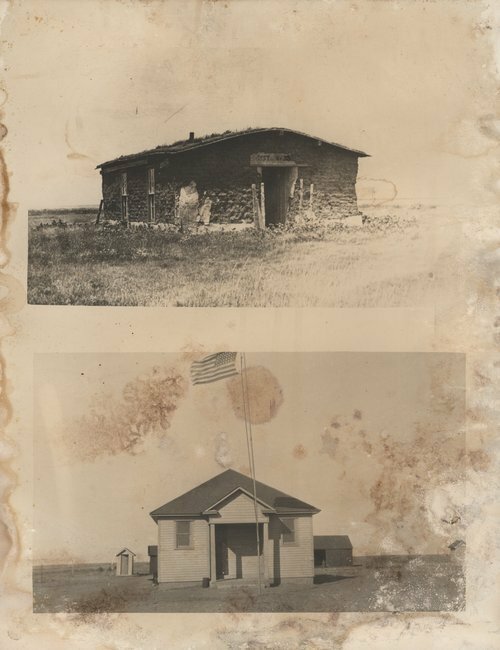 These two photographs show rural schools in Gray County, Kansas. One is made of sod and the other is frame. The "out house" is visible at the back of the frame school.